I am super sorry that I had to skip a week last week and this post is a day late - does anyone else have so much to do that they wish they could stop time? Anyway, here is a super quick guide to what's on this weekend. We're heading to Wynyard Hall for festive afternoon tea and their Winter Light Show. Really looking forward to it. I'm taking a blogging break over Christmas and New Year but will return to publishing our weekly 'What's On' guides from Thursday 5th January 2017. Also check out this post featuring the best places to take your children ice skating in the North East this winter and don't forget to check out the FREE Santa's Grotto at intu Metrocentre if you're heading that way - definitely worth it (check out our review here). 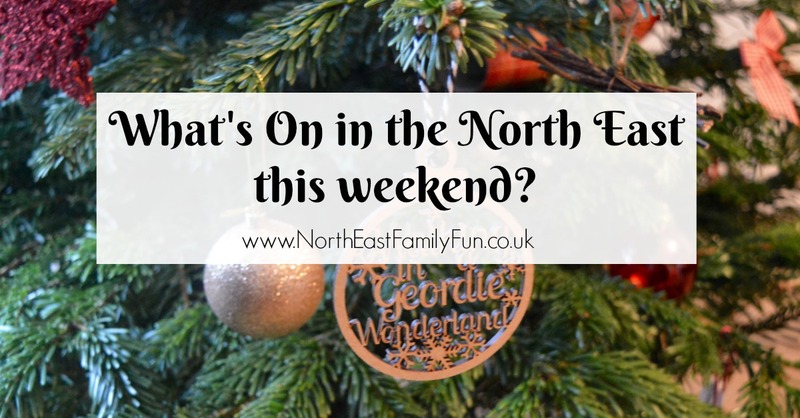 Let me know what you're up to this weekend and don't forget to follow North East Family Fun on Instagram for a sneaky peek at what we're up to.